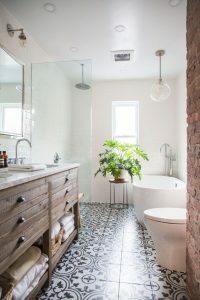 When it comes to renovating a small bathroom, the design can either bring on stress or provide a simple sanctuary for your long days. 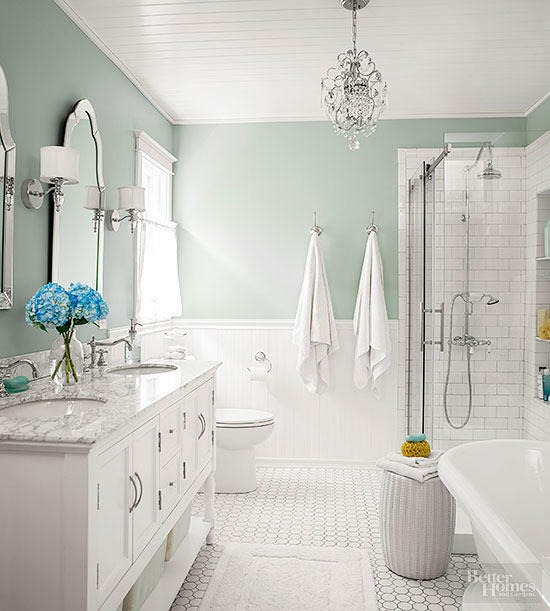 There are ways to avoid drastic mistakes that so many have made when it came to changing the look and feel of your small bathroom. 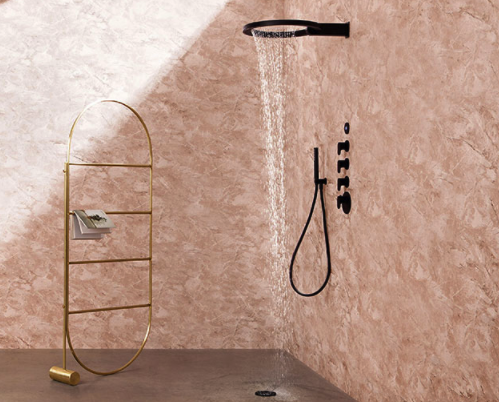 Bigger is better when it comes to showers these days. Dual-income families want bigger showers — or at least ones that look bigger — with multiple shower heads so everyone can get ready for work at the same time, but before you run out to look at new showers, you’ll want to know more about what outfitting a large shower entails. Considering what we put them through each day, sinks, showers, tubs and toilets deserve special cleaning attention. 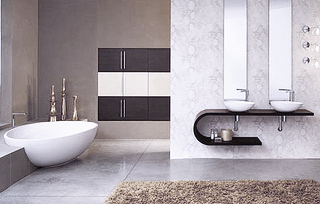 Thankfully, modern plumbing fixtures are designed to make the job of bathroom cleaning as easy as possible. Which Showerhead is Right For You? First thing every morning you take a shower to wake up, the end of the day you take a shower to wash off the day and your troubles. Your shower might be yours or you might be in a hotel or at someone’s house. Either way we are all in a quest for the perfect shower, just enough pressure and spray that helps to melt your troubles and grime away. There are so many different showerheads and now you can get a shower system that gives you the “spa experience” you just need to find the one that is best for you. Why a Hand-Held Showerhead is a Necessity? Tired of Taking a Boring Shower? Today’s showerheads offer more innovative options for cleaning, comfort, and water conservation than ever before. Installing or changing your showerhead in your shower is one of the most economical ways to create a more pleasant and eco-friendly shower experience. There are two basic types of showerheads: fixed showerheads are attached to the shower arm and mounted permanently to the wall; hand-held showerheads are attached to the wall with flexible tubing, which makes it easier to maneuver the water where you want it. These two types offer a wide variety of configurations with many different adjustable settings or spray patterns available. Traditional showerheads are fixed and the most affordable option available. 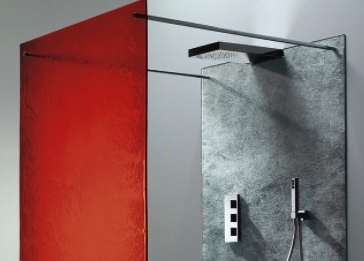 Dual showerheads are fixed and offer wider water flow to cover a larger area, at multiple angles. Body spas and body mists are fixed strips of jets or misters that create soothing, massaging sprays with full body coverage. Overhead showerheads or rain showerheads are fixed and allow for a cascade of water to flow down from above to create a light, even distribution of the water. Slide bar showerheads are fixed and provide for a moveable mount of a vertical bar that can be moved up or down to adjust to the right height for the person in the shower. Handheld showerheads offer a wide variety of features and water flow options as well as provide the user to direct the water where it’s most needed or to concentrate the water in a specific area. 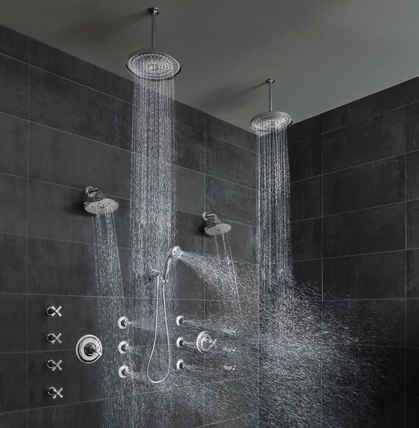 Spray patterns determine the direction, range, and volume of water coming from the showerhead. There are wide varieties to choose from including full body sprays, massaging pulse sprays, power sprays, mist sprays, drenching rain sprays, and combination sprays. The material and finish of your showerhead will enhance the overall look of your shower and can be made to match the other fixtures in your bathroom. 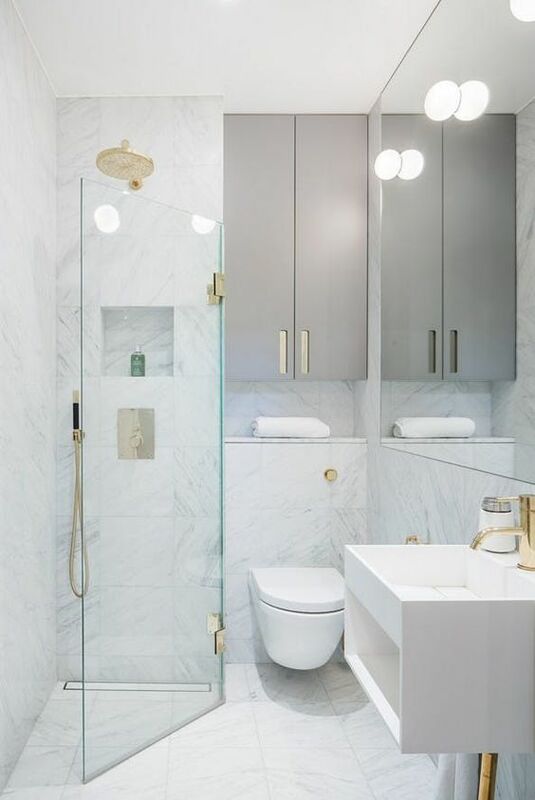 Chrome, nickel, solid color, brass, bronze, stainless steel, and mixed colors are available and provide polished, brushed, matt, satin, high gloss finishes or looks and can determine the durability, economical, and easy to clean materials. Water pressure and flow of the showerhead should be considered. Look for low-pressure showerheads as an option since they use less water but still offer a full shower experience without sacrificing the water pressure. Many showerheads allow you to adjust the nozzle for a stronger flow when necessary. Regardless of what you decide on, make sure you choose the best option for your lifestyle so you can enjoy your shower again!